• Durability. Though perhaps counter-intuitive, the Transparent Canoe is stronger and more durable than the traditional opaque variety. 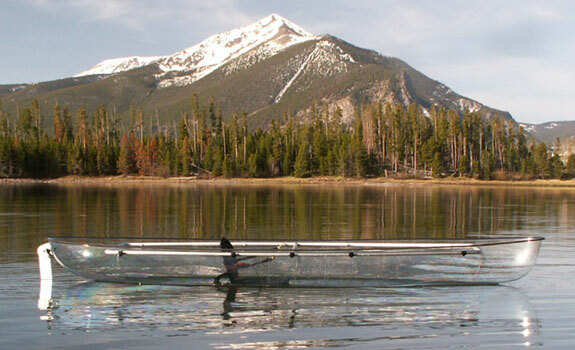 The Transparent Canoe’s polycarbonate shell is comprised of the same material used to make bulletproof glass. Meanwhile, inflatable canoes can puncture, wood ones can rot and even fiberglass breaks down in time. • Weight. 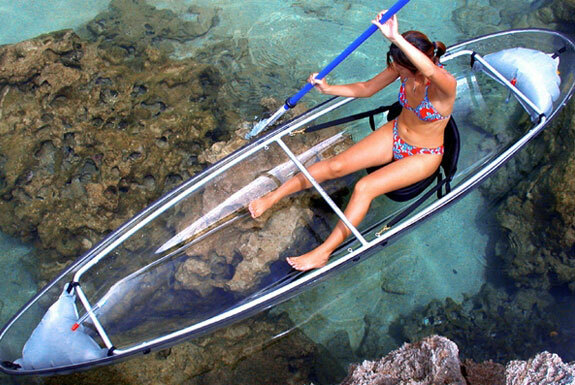 The transparent canoe weighs a scant 40 pounds (18kg). In comparison, a typical canoe like the Old Town Guide weighs 82 pounds. The popular Pelican Navigator, made of high-density polyethylene, weighs 57 lbs. And even the lightweight rubber Sevylor Inflatable scales in at 43 lbs. • Navigation. You get a much clearer look into the water from a transparent canoe than you do looking through the water surface over the side of a boat. That means it’s much easier to gage water depth, spot obstacles and, if it’s your thing, look for fish. Of course, the Transparent Canoe also looks extremely cool, like a real-life water-bound version of Wonder Woman’s invisible jet. 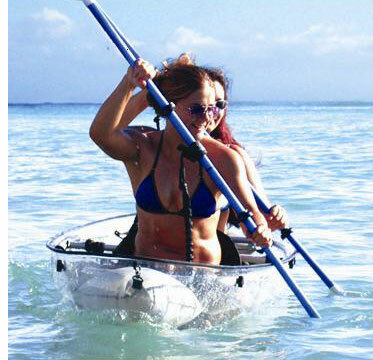 The catch is that the price tag for the Transparent Canoe is very much visible—US$1,475. That’s not completely unreasonable as far as high-end canoes go, though still a significant premium over Amazon’s $400 sale price on the Navigator. I think Transparent Canoe is not only stronger but also more durable than the traditional opaque variety.It is lighter than others.it’s out looking is very good.I have learnt a lot after reading this post. When it drives on water,seem to being floating over water.very nice feeling.